When starting out as a new band, perhaps too much significance is ascribed to selecting the band's name. Some blame the name for a faltering start and, with the new broom of a different moniker, sweep all before them. For The Rain, it coincided with Noel Gallagher bringing his songs and guitar and changing the name to Oasis. For The Bees, the US version not our 'own', there was no apparent need to change their name. Especially after a couple of albums, the second of which, 2006's High Society, which had suggested they were already well on their way to making it. But, alas, a new record company, mindful of the clash with the The Bees UK, requested a name change. 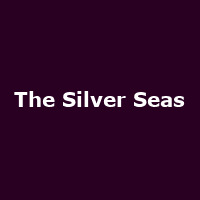 The Silver Seas were born. But rest easy, The Silver Seas still boast the considerable talents of Daniel Tashian and Jason Lehning, as 2010's Château Revenge attests. In 2011, The Silver Seas released an acoustic version of the album, called Château Revenge: Blue Edition, and the band will be performing both versions on consecutive nights in London. The Silver Seas play the Château Revenge Blue Show (acoustic) at Islington Assembly Hall on Friday 26th October, followed by the Château Revenge Red Show (electric) at the O2 Academy in Islington the following night. We have tickets available now for each night, priced £18.50 per night. Alternatively, you can save a few quid by booking both nights at once with a 'season ticket', coming in £30.